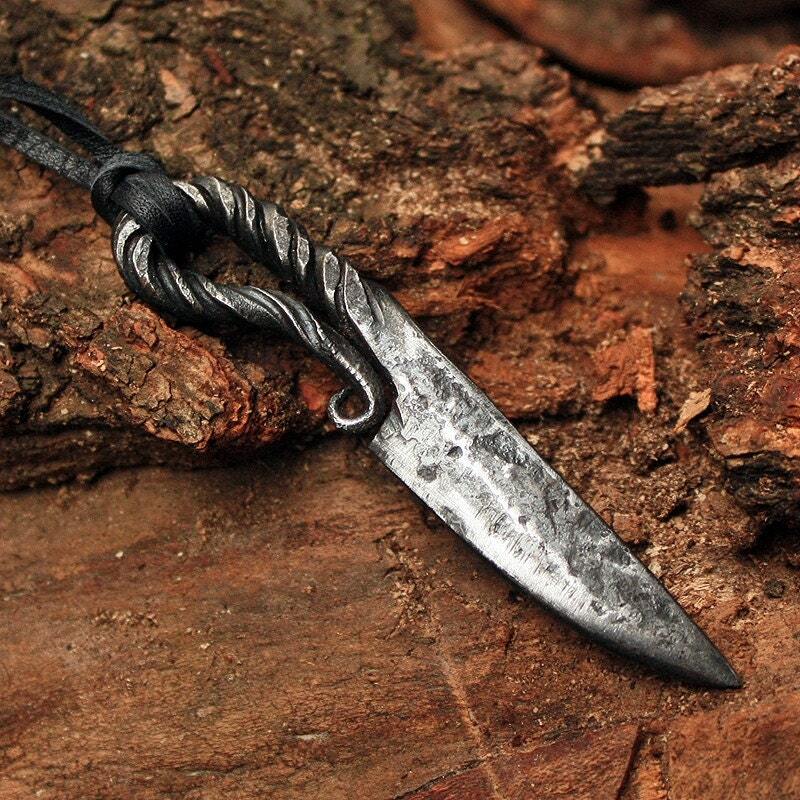 This is a forged iron handmade Viking style knife pendant. 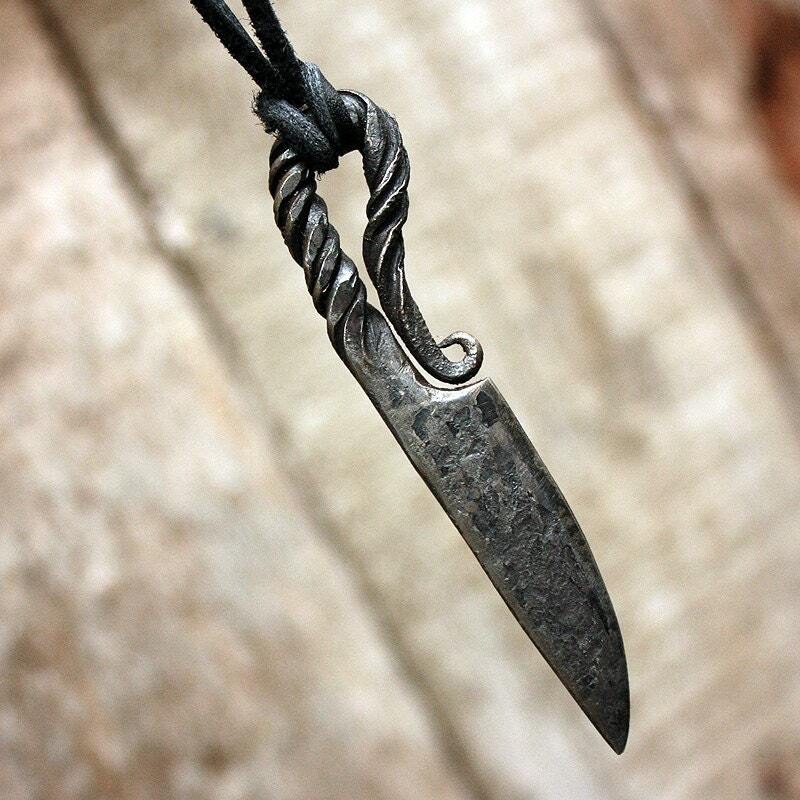 The pendant is a mini replica of a Nordic hunting knife tool which ancient Vikings carried with them. It can make a great part of a Larp reenactment costume. 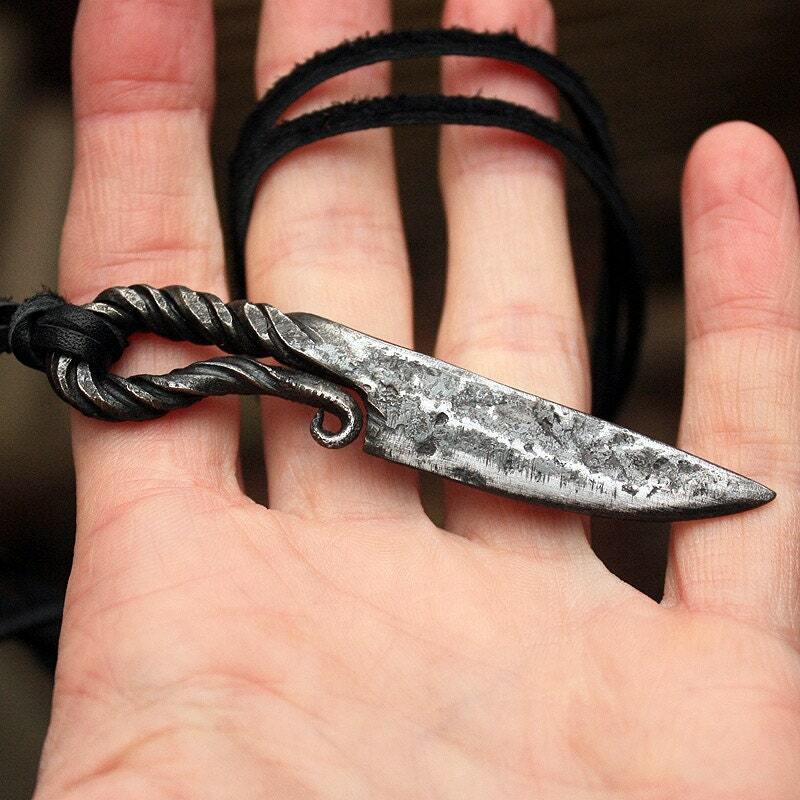 The pendant is decorative and not sharp which means it cannot be used to cut. The knife length is about 2.57-2.65" inches or 60-70 mm. 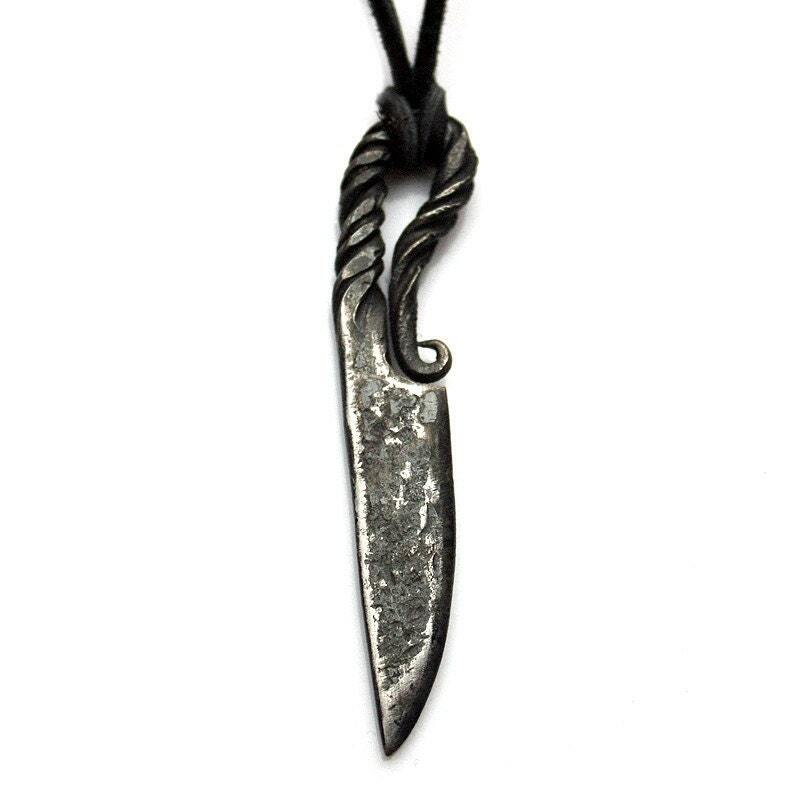 Pendant comes on a black leather necklace and is coated by a water resistant finish to protect from rusting. This is a handmade item and each one slightly different. Some details such as the shape and size of the tool may not look exactly the same as pictured.